NET is a mind-body technique that uses a methodology of finding and removing neurological imbalances related to the physiology of unresolved stress. NET is a tool that can help improve many behavioural and physical conditions. NET is a mind-body technique that uses a methodology of finding and removing neurological imbalances related to the physiology of unresolved stress. NET is a tool that can help improve many behavioral and physical conditions. Practitioners who employ NET’s mind-body approach are trained to assist the body’s healing processes by identifying and balancing unresolved emotional influences caused by both real and imagined events. Think of unresolved emotions stored in your body as similar to a computer error that can short circuit your desires and affect your health. A current stressor in your life is more likely to develop into a trauma if it is similar to an event that was traumatic for you in the past. When the earlier unresolved event is revealed and released at the basic energy level, however, most current emotional reactions or traumas dissolve in response. The connection between emotions, the nervous system and our health is now widely recognised. An emotion is a chemical release in our body, it is like a cloud that covers you up. It is easy to see why unresolved emotional patterns can make you think and behave in certain ways. The dogs’ anticipation of food created a chemical response that produced saliva. Similarly, emotions chemically affect our human bodies at almost every level. A simple example of this connection is the “butterflies” we sometimes feel in our stomach when we are anxious. Most of the time, the body processes these chemical changes satisfactorily, enabling us to “let go” of any psychological or physical affects of the emotion. Sometimes, however, emotional response patterns can unconsciously become “stuck” in the body, especially if you are overwhelmed by the incident or experiencing a physical deficiency at the time. In such a case, we are unable to process that particular feeling and become stuck with an emotional response. The “stuck” emotion creates a mind-body “loop”, in which an undesirable feeling, belief or situation triggers an emotion that in turn creates stress and perhaps physical ramifications, as well. This is our human conditioned response. For example, if a small child was holding a white dog and a "BANG" was heard, every time the child sees a white dog, or a dog at all the body will anticipate a coming "BANG". Due to Stimulus Generalisation the child may now be scared of anything furry like a cat or even similar things like a man with a big beard (like Santa Claus). If this emotional connection persists it is easy to understand why a fear or phobia of dogs or cats will develop. If you often were criticised and scolded for little mistakes as a child, you would begin to do what you could to be sure you didn’t make further “mistakes” that could attract criticism. As an adult, your past experience might make you tense and anxious about trying new things or making a decision, without recognizing the long-ago connection that could be causing your worry much of the time. We find that babies are particularly tuned into their parents emotions (especially Mums). Your body responds to your emotional as well as physical reality—even imagined events can affect your emotions and have a dramatic impact on your body chemistry. A phobia, or fear, for example, is based on your body reacting to perceived future events. It is for this conditioned response that NET is a particularly effective therapy. NET helps us connect the dots to the original event, thereby forming a basis for undoing our own conditioned response and moving ahead to relieve our stress and/or its related physical manifestations. For more information on NET see https://www.netmindbody.com. For more research on NET research see http://www.onefoundation.org. 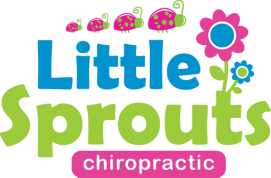 Little Sprouts Chiropractic donates to this fund to further our understanding and the scientific communities understanding of how NET can help achieve incredible breakthrough.